Based in Southern California, we are a group of passionate mermaids and mermen encouraging you to dive deeper within yourself. With daily classes and rentals in Laguna Beach and San Diego and a yoga studio/retail shop in Newport Beach, we are here to help you embrace a healthy and happy lifestyle. Bliss also offers teacher trainings, local and international retreats, and lots of super cute apparel, accessories and equipment. 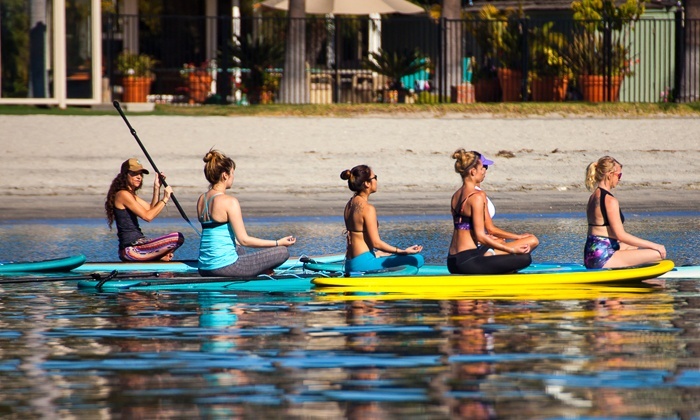 Never tried paddling or practiced paddle yoga? We are here to ease you into this exciting and relaxing experience in San Diego, Newport Beach and/or beautiful Laguna Beach. All equipment is provided in the class and our fun instructors will teach you everything you need to know so don’t worry if you are a beginner. 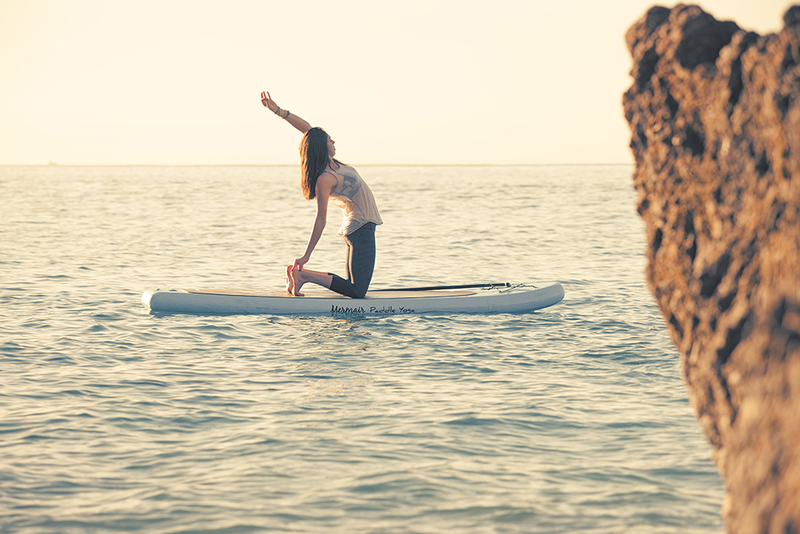 Be empowered through your breath and balance to follow your bliss. San Diego $40 –Sign up here for $5 off! Laguna Beach $50 – sign up online for $5 off! Newport Beach $39: Sign up here for $5 off! Pricing includes equipment rental. If bringing your own board, please call to reserve. Reservations are required as there are a limited number of boards. Weekends do fill up, so we recommend making a reservation in advance. 24 hour cancellation policy applies. No refunds.